[LEXINGTON, Ky.] — During ONE: The Alltech Ideas Conference (ONE17), 70 speakers, including the brightest international minds in science, agriculture, technology and business, highlighted technologies that have the potential to revolutionize agriculture and make the next big leap in productivity possible. 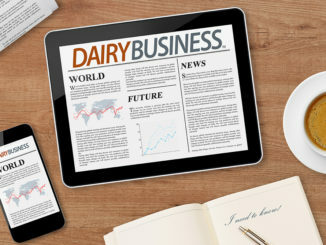 Across all agricultural sectors, digital technologies and applications are emerging that are disrupting production systems and supply chains, creating radically different business models and enabling farmers and agribusiness to work with levels of precision and insight that were previously unimaginable. “We’re in the midst of an agri revolution — it’s happening right here, right now, and it’s exciting,” said Robert Walker, CEO of KEENAN, who addressed attendees on disruptive and data-driven technologies. During his talk, Walker highlighted how KEENAN, an agriculture manufacturing specialist, partners with technology companies such as Vodafone and Intel to provide farmers with instant information on their herds’ feed ration through cloud computing. Peter Diamandis, founder of the XPRIZE Foundation and co-founder of Singularity University, addressed attendees on disruptive innovations, highlighting that the only constant is change, and the rate of change is increasing. “To stay ahead in any industry, companies and entrepreneurs must think in an exponential way, as it’s exponential technology that will transform every industry,” he said. Diamandis was awarded the Alltech Humanitarian Award, which is bestowed annually to someone of strong character who uses their accomplishments to positively influence and inspire other people. The three-day conference also heard from George Blankenship, former executive at Tesla Motors, Apple Computer and GAP Inc., Lisa Bodell, founder and CEO of futurethink, Jack Bobo, senior vice president and chief communications officer at Intrexon, and many more. The program was closed by global phenomenon Riverdance, which performed traditional Irish dance on the main stage in Rupp Arena. ONE17 attracted approximately 4,000 attendees from nearly 80 countries across the globe. The conference will return to Lexington, Kentucky, USA, May 20–23, 2018. Visit one.alltech.com for highlights from the event. Presentations will be made available in June on the Alltech Idea Lab. Sign up now for free access at ideas.alltech.com. Tuesday afternoon plenary session of ONE: The Alltech Ideas Conference in Lexington, Kentucky. Dr. Pearse Lyons, founder and president of Alltech, shares his key elements for success in a disruptive marketplace during ONE17, which attracted approximately 4,000 attendees from nearly 80 countries to its three-day conference in Lexington, Kentucky. Tuesday morning plenary session of ONE: The Alltech Ideas Conference in Lexington, Kentucky. Robert Walker, CEO of KEENAN, addresses attendees on disruptive and data-driven technologies during ONE17 at Rupp Arena in Lexington, Kentucky. Peter Diamandis, Founder, Executive Chairman of the XPRIZE Foundation and Singularity University, accepts the Alltech Humanitarian Award from Dr. Pearse Lyons, Alltech Founder and President, during the tuesday morning plenary session of ONE: The Alltech Ideas Conference in Lexington, Kentucky. Our guiding ACE principle seeks to develop solutions that are safe for the Animal, Consumer and the Environment. Our more than 5,000 team members worldwide put this knowledge to work every day for our customers. Alltech is a family-owned company, which allows us to adapt quickly to emerging customer needs and to stay focused on advanced innovation. Headquartered just outside of Lexington, Kentucky, USA, Alltech has a strong presence in all regions of the world. 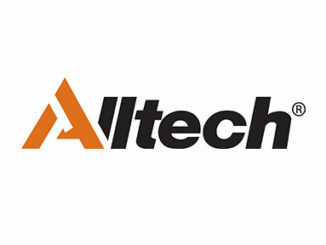 For further information, visit www.alltech.com/news. Join us in conversation on Facebook, Twitter and LinkedIn.